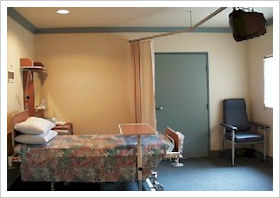 The Sydney Hernia Clinic is based at Holroyd Private Hospital. 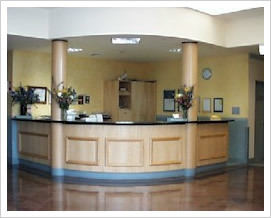 The Sydney Hernia Clinic was established at the same time as Holroyd Private Hospital was completely rebuilt in 1996. The new hospital provided an excellent environment for this highly specialised Clinic, which was unique in New South Wales at the time. The fine traditions of this Clinic have been enhanced over the years with strict outcome audits, training, research and quality control. The guiding philosophy of Holroyd Private Hospital is total quality management (TQM) or kaizen as it is now more commonly known. The Sydney Hernia Clinic website was established way-back in 1996 at the beginning of the dot.com era. If you have found us by Google search then you will have seen many websites promoting hernia treatment and with confusing and conflicting domain names similar to that of The Sydney Hernia Clinic. Sponsored links are annoying because they circumvent the longstanding tradition of The Sydney Hernia Clinic and The Sydney Hernia Clinic website. When the Sydney Hernia Clinic was established many years ago, the treatment of groin hernia by the minimally invasive “keyhole” approach was in its infancy. Indeed the use of polypropylene mesh for hernia repair was only just becoming commonplace as clinical trials demonstrated the efficacy of a “tension-free” repair using polypropylene mesh. The main focus of The Sydney Hernia Clinic has been on the treatment of groin hernia. In more recent years, this focus has been extended to the repair of umbilical (belly button) hernias and incisional hernias (which occur after the breakdown of operative incisions). Through study and research, it has been shown that it is very important to use polypropylene or similar mesh for the treatment of these hernias. Complex hernias such as hiatus hernia and stomal hernia are treated at Holroyd Private Hospital but do not fall within the domain of The Sydney Hernia Clinic. All surgeons at The Sydney Hernia Clinic have agreed to adhere to strict protocols. 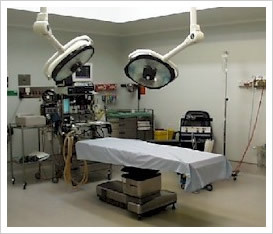 There is a very comprehensive audit of all hernia operations performed at the Clinic. Because of the efficiency of operations used for modern hernia repair the surgeons at the Clinic are conscious of the importance of the patient's ability to return to work and sporting activities. Patients are encouraged to make full use of this benefit. The economic importance of this is recognised for the self-employed, professional sports people and those patients who have developed work related hernias. The study incorporates this aspect of quality measurement. In the early 1990s when laparoscopic hernia repair (also known as keyhole surgery) was first performed, this operation was very controversial. The gold standard at that time was a repair requiring an incision in the groin with full exposure of the hernia site. The gold standard has changed as long experience, study and research has shown the huge benefits of the laparoscopic repair. The laparoscopic repair of hernia is the most common procedure performed at The Sydney Hernia Clinic. Because of the efficiency of operations used for modern hernia repair the surgeons at the Clinic are conscious of the importance of the patient's ability to return to work and sporting activities. Patients are encouraged to make full use of this benefit. The economic importance of this is recognised for the self-employed, professional sports people and those patients who have developed work related hernias. The study incorporates this aspect of quality measurement. Teaching has become an important activity for The Sydney Hernia Clinic. International conferences are held regularly to train surgeons in the techniques for hernia repair. International visiting surgeons perform operations at Holroyd Private Hospital as part of the training programme. The Clinic has access to audio-visual equipment which allows live transmission of surgical procedures and direct audio interaction by participants with the operating surgeon. Surgeons from all over Australia visit the Clinic to observe procedures performed by surgeons of the Sydney Hernia Clinic at Holroyd Private Hospital. Training has been extended to include workshops in offsite laboratories where the surgeons of The Sydney Hernia Clinic can share their experience with other interested surgeons.